YAY! So excited I won the giveaway! I am so pumped :) I will shot you an email. Also- I totallyyyyyy get it. I also was addicted to Snood in college and had to delete it off my computer (reluctantly) because I was playing it for hours on end! Ugh I'm hooked on Candy Crush too, AND I am stuck on that darn level 35! It must run in the family! hahah andrew's hooked on candy crush too! annnd i definitely lost hours of my life playing snood in college! kinda makes me want to download it again. RESIST! It's kind of odd b/c I've never really been into any smartphone games before. I mean, I could play Blitz or Angry Birds for 10 minutes in a waiting room, but that's about it. 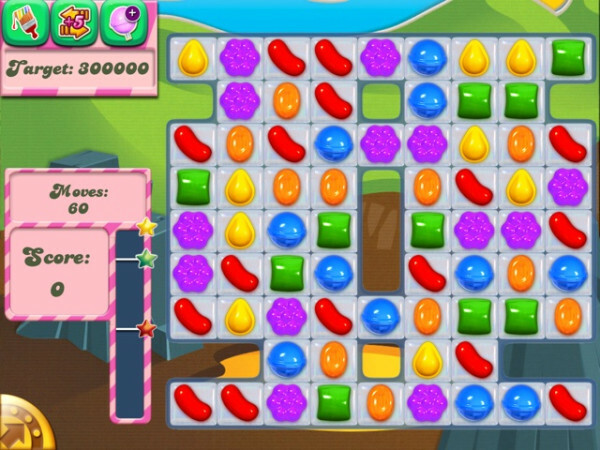 I think the genius behind Candy Crush is the 5 lives - keeps you coming back. I can't remember how I beat 35 b/c I've sworn to never make an in-game purchase (cough, after I made two early on to get to new levels). I had to delete candy crush from my phone...my addiction was ruining my life! He told you you had beautiful eyes. You asked for a discount. He said no. Bahahahaha!!! I'm dying laughing over here!!! You are too cute! Pretty eyes should equal a discount!!!! ...I have deliberately been avoiding this game because I just know Ill become another statistic! You are not the only one! Your post made me INCREDIBLY nostalgic for the old snood interface - - I have removed it (when it got too problematic) and re-added it to my computer so. many. times. Now, on my new mac I'm stuck with the new version and while still addictive, not quite the same. Thank you for the warning - I'm going to avoid Candy Crush now. I have the personality. . . I bit the bullet and downloaded it two nights ago. And I came close to buying more lives because I'm so addicted...it's really terrible. I'm sorry to hear that your battery died. Now here's a question for you, have you downloaded bubble mania for your ipad? This is too funny. Snood was my addiction back in college!!! I'm stuck on the same damn level! Let me know if you get past it! I am in some level in the 50s and I want to cry.I cannot beat it but I cannot quit it either. I told my husband his new theme music is the Candy Crush theme. SO SICK of hearing it! OMG, that is so funny! We have this joke around here about playing all the time. I even delvelped tennis elbow from playing on my phone (how embarrassing). You know, that candy is not gonna crush itself, though. I am SO embarrassed to admit that I have an addiction to Candy Crush too! I sneak it in when no one's looking. I don't even want my husband to know! It's BAD. Please tell me you at least beat level 35 while you waited on AAA. 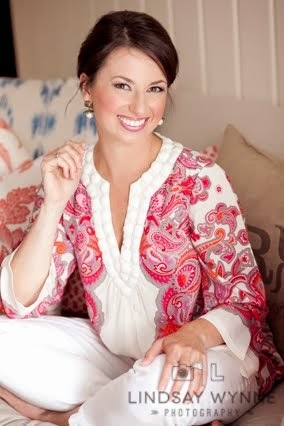 And I am also guilty of the Snood addiction. hahaha I love that you were just about to run an errand and wanted to squeeze a game in. Thanks for giving me a new game to put on the ipad! Hahahaha omg I am the exact same way! I haven't downloaded Candy Crush b/c I'm terried of of it taking over my life! I seriously have an embarrassingly high score on Temple Run and don't even get me started on how I paid like $4.99 for the advanced Bejeweled game on my phone b/c I beat every level on the regular one. Don't even get me started on my Snood addiction in college- if it's ever been a popular game I've probably been addicted at some point. So you're not alone. First, your conversation with the AAA guy killed me. Second, I used to loooooove Snood--and I totally forgot what the name of it was--I was racking my brain a couple of months ago because I had such fond memories of wasting hours playing it--and in high school our student center had an arcade version. I saved my quarters so I could play. Hahah too funny! I've never played that game before, but I think I should not start! 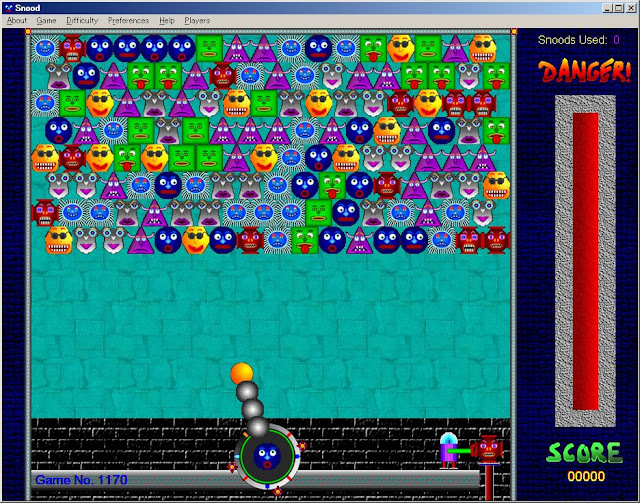 I remember Snood...totally forgot about that game but I used to be addicted to it too! that's so funny! I've never played it before but I've heard it's addicting! Snood!!! I used to love that game!! Okay... so... I don't play CandyCrush, I play what is called myVegas as then I win comp points for our MGM Resorts account? BUT, Snood? It was my life!!!! Obsessed and I am sure I missed class as well. ha. PS: "Jose was great. He told me I had beautiful eyes, and I asked him for a deeper discount on a new car battery. He said no." Bahhaha, this cracks me up! I have intentionally NOT downloaded Candy Crush! I also am a huge Snood fan and am now feeling the urge to play, ha! OMG!! I can sooo relate. I'm completely obsessed with Candy Crush. So much so that I can't even watch a tv-show now without occasionally playing a "short" game on my iPad. (or, however many lives I have left to play at that particular point in time). ps. just wait until you get to level 158. Also, I've totally been stuck on 147 for 2.5 weeks. It may just kill me.